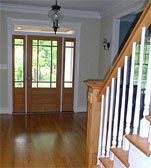 Residential Floors Gaithersburg - Custom Hardwood Flooring contractor in Gaithersburg, MD. Every floor installed by Residential Floors, is just that--our floor. We're committed to providing superior workmanship and the best materials available. Residential Floors is dedicated to perfection!